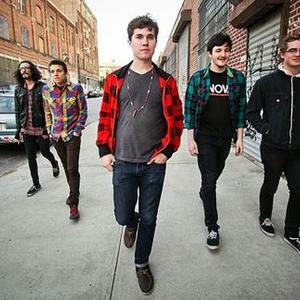 Surfer Blood is an indie rock band from West Palm Beach, Florida. Their 2009 debut single Swim debuted through Pitchfork Media and gained critical acclaim as it was placed as the 37th best track on Pitchfork's 100 Best Songs of 2009. Their sound has been compared to Weezer, Pavement, Vampire Weekend and Built to Spill. The band has four members: John Paul Pitts (lead vocals/guitar), Thomas Fekete (guitar/backing vocals), Kevin Williams (bass guitar/backing vocals) and Tyler Jerry Schwarz (drums) . The band has four members: John Paul Pitts (lead vocals/guitar), Thomas Fekete (guitar/backing vocals), Kevin Williams (bass guitar/backing vocals) and Tyler Jerry Schwarz (drums) . The band's debut album, Astro Coast was released on January 19, 2010 to generally positive reviews.